Price includes accommodation for 1-3 people. $175.00 for each extra person. 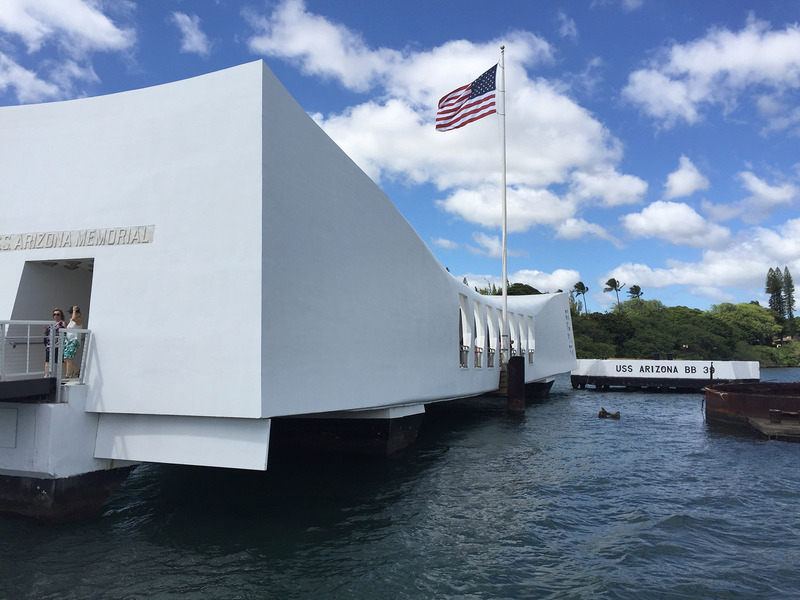 USS Arizona Memorial admission ticket included – No waiting in line! There is a reason why Pearl Harbor is the number one visited destination in Hawaii; millions of visitors from all over the world come to see for themselves where World War II began for the United States on Dec 7th 1941. 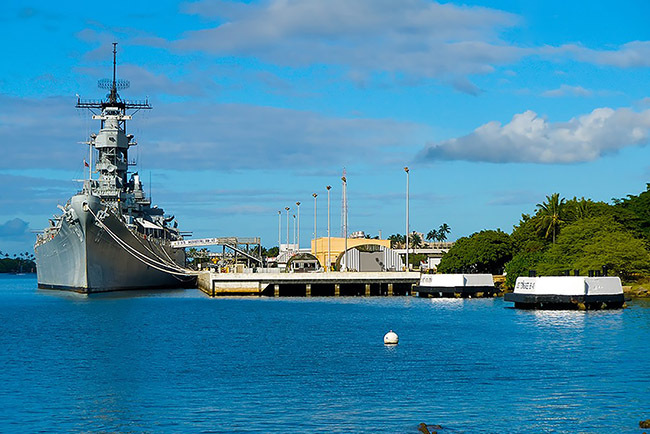 You will enjoy our hassle-free Pearl Harbor experience that is guaranteed to give you and your family a memorable visit. Royal Hawaiian Limousine takes pride in our years of providing quality Hawaiian Tours for that one-of-a-kind vacation experience you deserve. 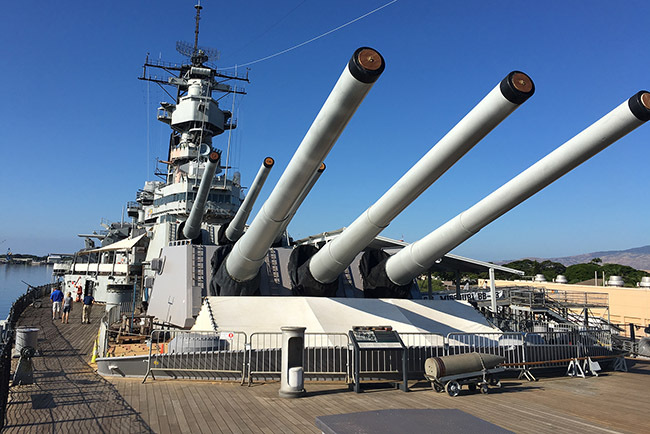 This unique Pearl Harbor tour offers you a choice to visit the Battleship Missouri or the Pacific Aviation Museum on the day of your visit and then concludes with our popular Honolulu City historical tour. 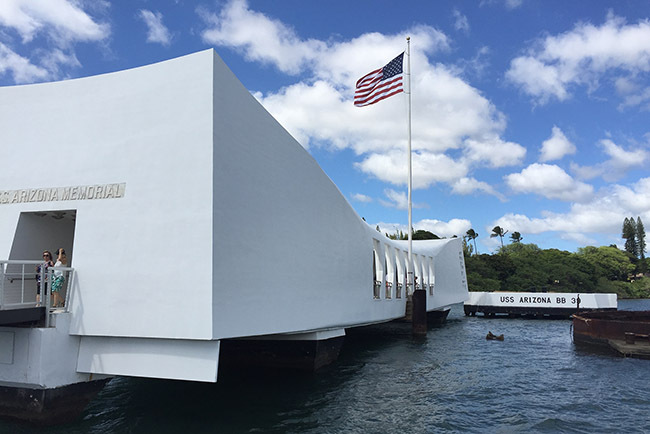 This incredible all-encompassing tour provides our passengers the complete story of Dec 7, 1941, the day that launched the United States into World War II; that includes the entire Pearl Harbor Visitor Center tour, its museums, movie documentaries, and the official USS Arizona Memorial Tour. 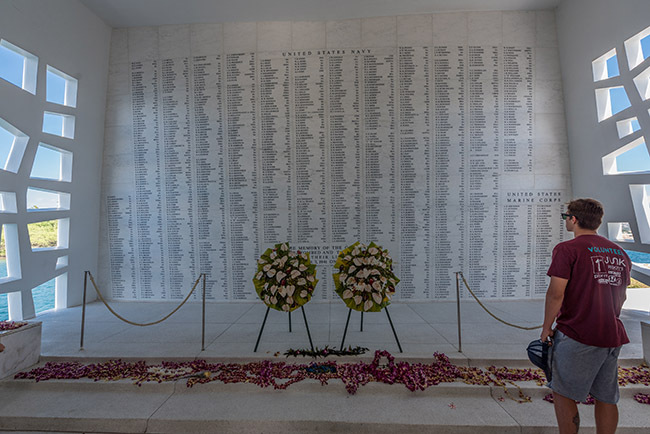 The highlight of this tour is when you get admission to the National Park Service’s theater to view a 23-minute movie documentary on the bombing of Pearl Harbor and then you will board the US Navy shuttle boat to travel out to the USS Arizona Memorial. Located in Pearl Harbor, the USS Arizona Memorial rests above the sunken battleship USS Arizona. 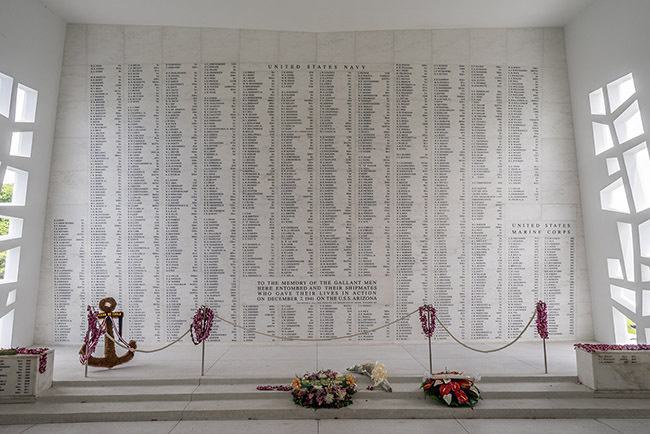 Here you will visit one of our nation’s most popular national monuments and stand in the shrine room to view the names of over 1,178 sailors and marines who lost their lives during the Japanese attack on Pearl Harbor. Aboard the Memorial, you will also be able to view the oil that is still leaking from the USS Arizona and have a perfect close up view of the Battleship USS Missouri. 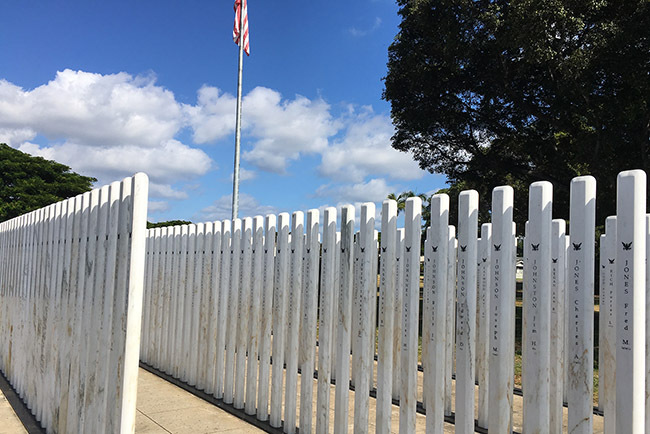 This tour’s next stop will be the USS Oklahoma Memorial on Ford Island, part of the active Navy Base at Pearl Harbor. Then you have an opportunity to visit either the USS Missouri Memorial or the Pacific Aviation Museum. The USS Missouri or the “Mighty Mo”, as she is fondly called, was the last major battleship built by the US, who’s 50-year career spanned three wars and three generations of brave American fighting men and women. One of USS Missouri’s most important highlights was the Japanese surrender on her deck on September 2, 1945 in Tokyo Bay. The Pacific Aviation Museum offers the only aviation experience in the US where you tour an actual battlefield and explore hangars that still bear the scars of the Dec 7th, 1941 attack. When you arrive at the Pacific Aviation Museum’s Hanger 37, you’ll watch a 12-minute documentary that showcases historical footage of the Japanese attack. Here you will learn how US aviation rose out of the ashes to inspire hope and galvanize the America to overcome that day forward during the Second World War. Your tour includes the official Pacific Aviation Museum Audio Tour and you will be able to view dozens of military aircraft including an authentic WWII Japanese Zero and US Wildcat fighter aircraft. 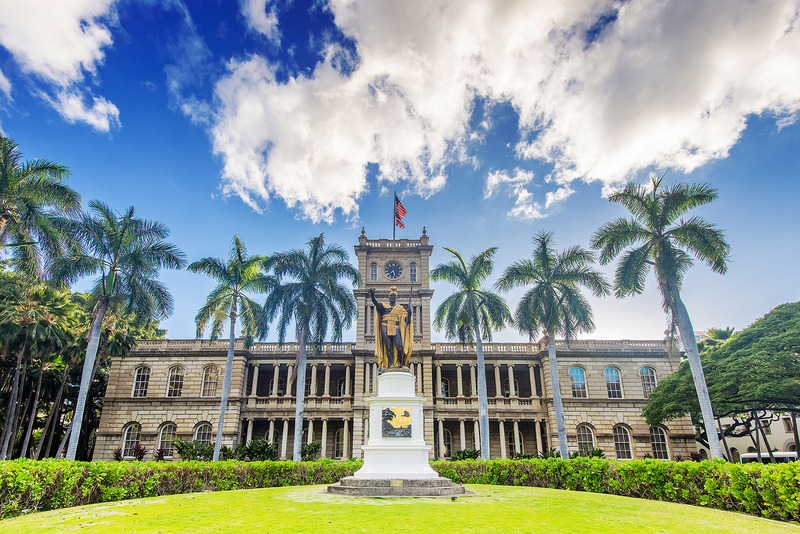 After your Pearl Harbor tours, the group meets up for our deluxe Historic Honolulu City Tour that includes popular landmarks including Chinatown, the statue of King Kamehameha, Iolani Palace, Washington Place, and State Capitol Building. Then it’s on to the National Cemetery of the Pacific in Punchbowl Crater. Besides offering our passengers the newest and most comfortable vehicles in the market, it’s our tour drivers that makes our tours the best on Oahu. 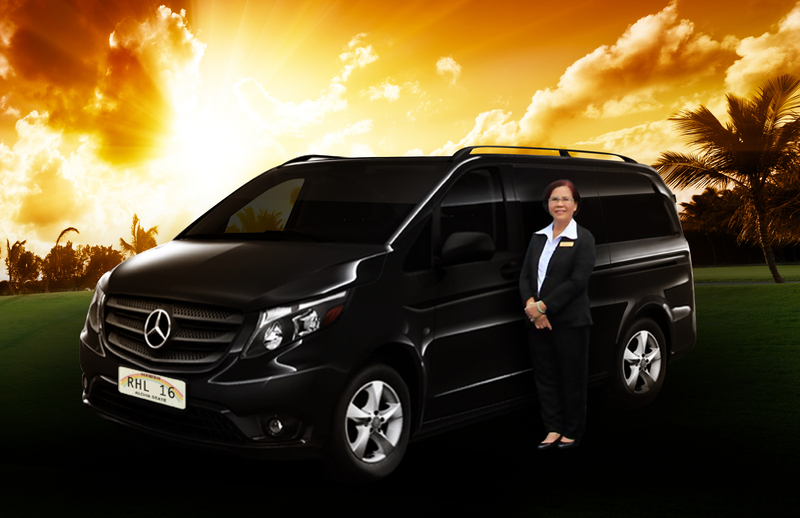 Each of tour drivers goes through extensive background checks, along with intensive driver’s safety training and special 5-star training on providing “First Class Service” to our clients. Each of our drivers has years of tour guide experience and are constantly trained in providing quality tours to our passengers. Your tour guide will share special insider knowledge about living in Hawaii, and Hawaiian history during the tour that you don’t find in guide books! And as on all Royal Hawaiian Limousine Tours, complimentary Cold Bottled Water is available for our passengers. Reserved USS Arizona Memorial official tour tickets are provided, no waiting in line! Convenient round-trip transportation from your hotel in Waikiki, Kahala, Honolulu International Airport, or Honolulu Harbor. Important information- Rates subject to tax. Rates subject to change without notice, all confirmed reservations will be honored. Lunch is non- hosted. Refunds subject to a cancellation charge if cancelled within 72 hours. Royal Hawaiian Limousine shall not be liable for any injury, loss, damage or accident to persons or property of any individual on the tour from any cause beyond its control. Royal Hawaiian Limousine will not provide refunds to the charter if the clients misses their USS Arizona Memorial official tour due to (1) the US Navy cancels the boat to the Memorial due to safety reasons (2) if there is a unforeseen tariff jams that causes client to miss their Memorial Tour and (3) if the client is late in their departure time that clauses the tour to be later in arriving at the Pearl Harbor Visitor Center and thereby missing their schedule movie/boat ticket time. We are not responsible and do not extend financial reimbursement for delays caused by factors such as traffic, weather, mechanical issues, or problems concerning Navy-operated shuttle boats. The U.S Navy have right to shut down the boat for public safety any time. This is beyond our control and power. We cannot be hold responsible for their action. A moderate amount of walking is involved. According United States Federal Law no Bags & purse from any size even 10 inch are allowed in Pearl Harbor. Baggage storage is available in Visitors Center for an extra fee. PLEASE do not bring any kind and any size bag even a camera bag with you. Because you might stay in a LONG LINE to pay and check your bags on arrival & departure from Pearl Harbor. Automatically you will lose part of your tour. Pearl Harbor is closed on Thanksgiving, Christmas, & New Year. 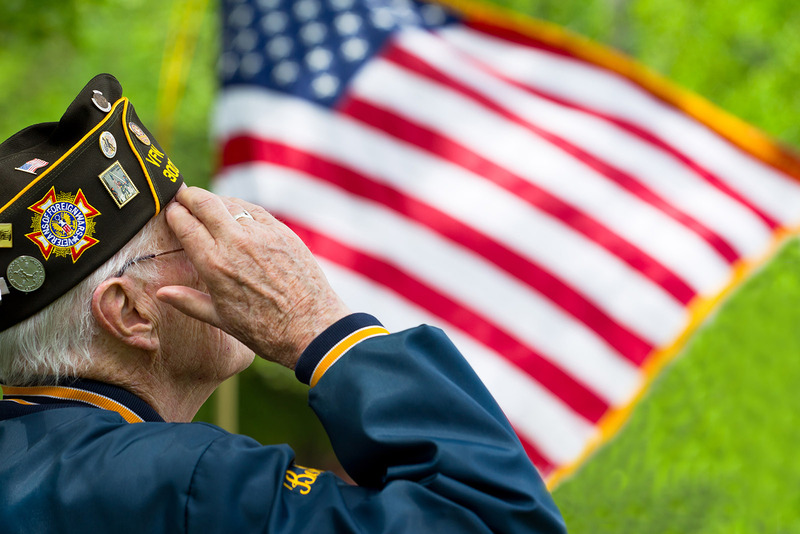 Beginning on August 1st 2017, the US National Park Service (US Government) will enact new regulations regarding tour operators ticket pick up from Pearl Harbor. While we have already obtained tickets for the USS Arizona Memorial for you and you do not need to be worried about not being able to obtain a ticket, the Federal Government is requiring our clients to pick up their tickets one by one in person upon their arrival to Pearl Harbor. This is a separate window exclusively for tour operators and not the line for regular visitors. This is not the regular line that thousands of people stand in from at 6:00 am to get tickets on a first come first served basis. All times and pickup locations are subject to change according to traffic conditions , road closures, and ticket times. $799.00 – 1 to 3 people. All refunds will be credited to your account within 2 to 4 weeks after cancellation date. If you need to change your tour date because of a change in schedule, there will be no extra charge for you; however, all changes are subject to availability. Private tours are eligible for an 85% refund if cancelled at least one week from the reserved tour date. No refunds are given for cancellations less than one week from tour date. Royal Hawaiian Limousine LLC is owned by Royal Hawaiian Tour and Limousine LLC. We respect the privacy of its users. We sometimes collect information during your visits to understand what differentiates you from each of our thousands of other users. In order to demonstrate our commitment to your privacy, we have prepared this statement disclosing the privacy practices for the entire Royal Hawaiian Limousine site. Additional terms and conditions, if any, regarding the collection and use of your information may also be provided to you before you sign up for a particular service. Here, you will learn what personal identifiable information of yours is collected, how and when we might use your information, how we protect your information, who has access to your information, and how you can correct any inaccuracies on the information. For immediate answers to your questions, please call us at (808) 275-6030 or drop us an e-mail message at info@royalhawaiianlimousine.com.